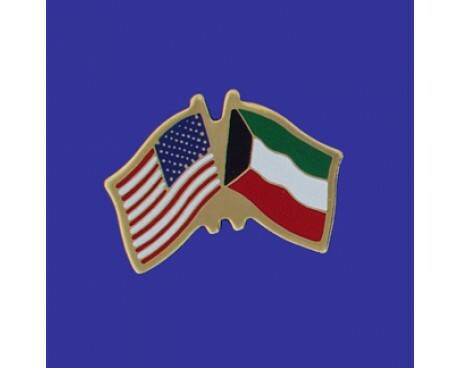 The Kuwait flag and its history mirrors that of many other nations along the Persian Gulf. It is a reflection of both the nation of Kuwait and the Arab people who inhabit it. 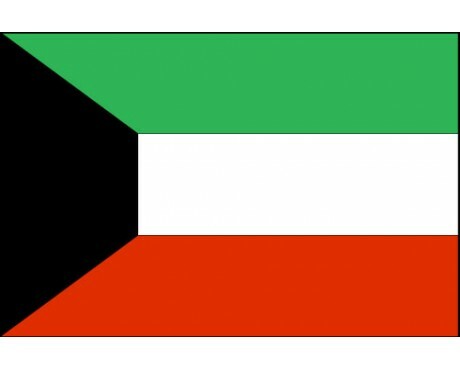 The modern flag of Kuwait is a horizontal triband of green, white, and red. It also has a black trapezium that stretches out from the hoist. The flag's colors came from the colors of the Pan-Arab movement, which represents the links between Kuwait and the rest of the Arab world. Each of the Pan-Arab colors represents one of the historical caliphates that ruled over much of the Middle East. The black section represents Muhammad's banner and the Rashidun Caliphate. The white section is a symbol of the Ummayad dynasty, the green stands for the Fatimid dynasty, and the red stands for the Khawarij. An additional set of meanings for the colors comes from a poem written by the Arab poet Safie Al-Deen Al-Hali. The poem says that white is a symbol of deeds, red is a symbol of swords, black stands for battle, and green stands for the land. 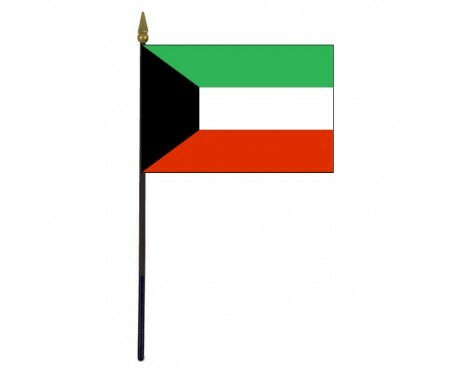 The oldest Kuwait flag in recorded history was a simple field of dark red. The date that it first came into use is unknown, but the flag certainly predates 1899, when it was replaced with a new flag that resembled most other flags in the region. The new flag had a lighter red field that displayed a white star and crescent along with the nation's name. That design was replaced in 1909 in favor of a flag that placed the nation's name in the top-fly corner. The flag changed once more in 1915. The 1915 design for the Kuwait flag removed the star and crescent entirely and moved the nation's name to the center of the flag once again. That flag was used for approximately forty years before it was replaced in 1956 by a design with a wavy white line along the hoist with the Shahadah written alongside it. The new design also used a new font to emphasize the nation's name on the flag. 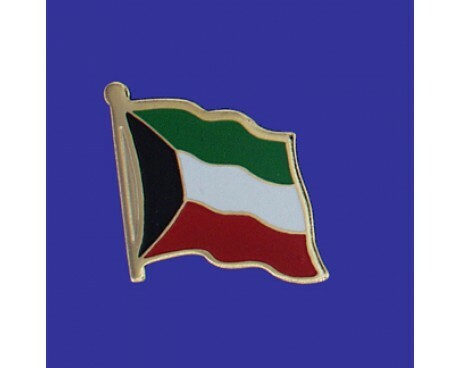 The modern flag of Kuwait replaced that design in 1961, at it has not changed since that time. The design was so popular that it was used for the design of the world's largest kite in 2005, which created a record that has not yet been broken.